Society may be obsessed with serial killers – true crime series, movies, documentaries and books, as well as news reports – but can you name a (Black) African serial killer in fiction? 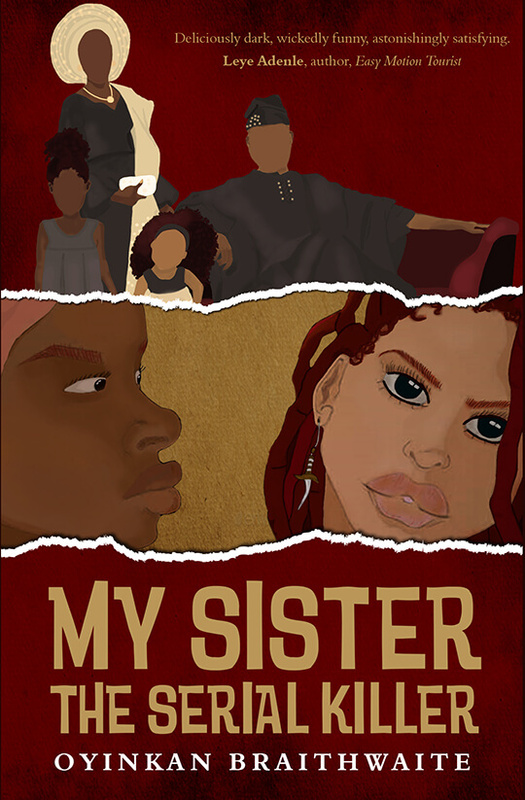 If your answer is met with silence, after reading Oyinkan Braithwaite’s debut My Sister, the Serial Killer – you can confidently mention at least one. You’re welcome, I guess! My Sister, the Serial Killer, follows two sisters. Korede is the older and more responsible one who works as a nurse. While Ayoola is the younger sibling who has murdered not one, not two, but three boyfriends. Let’s just say Ayoola does the killing, while Korede does the cleaning. That is until Ayoola begins a relationship with Tade Otumu. What do you do when your serial killing sister starts dating the handsome doctor you work with and happen to have a huge crush on? Does obligation to your family and the love for your sister trump the anger and guilt of knowing about multiple murders, covering them up and being made to keep such a monumental secret? Confession time! I did not like either of the sisters. I found Korede too pandering towards Ayoola. As for Ayoola – extremely manipulative towards her sister, preying on the deep emotional and physical labor Korede provided. Honestly, Ayoola preyed on everyone, especially men. This is because Ayoola was hot, extremely hot, and knew it. Ayoola used this (sexual) power to attract and lure men, who would later become victims. 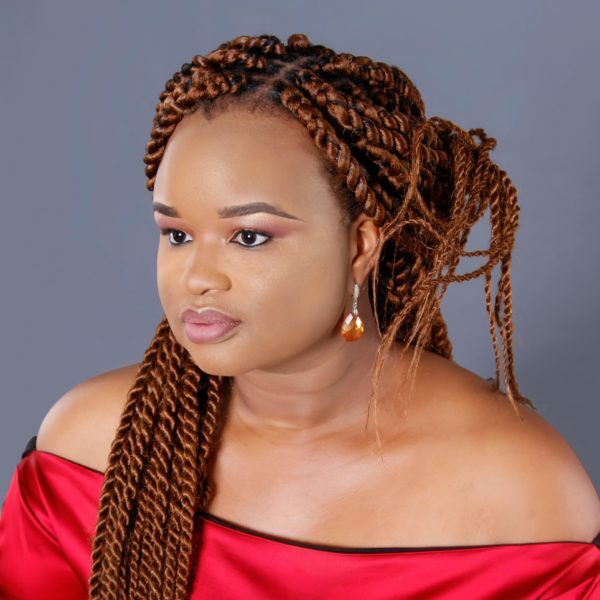 I did wonder – if Ayoola wasn’t so stunning, would she have still been able to get away with murder? Therein lies the beauty of My Sister, the Serial Killer. I may not have liked either Korede or Ayoola, but I found the book extremely refreshing, because Braithwaite wrote about two complicated women. They were not one-dimensional, but instead had a multiplicity of emotions – practicality, anger, carefreeness, carelessness, coldness, little remorse, and straight-up IDGAF-ness. Whatever it was, it was complex and it was real. This captured another of my many sentiments towards Ayoola, who seems to be having a lot of fun – it just so happens that her idea of fun is murdering men. I did wonder, if in portraying Ayoola as a perpetrator and not a victim or survivor of violence, Braithwaite was flipping the narrative around the expected roles of women in this genre, seeing as women are usually the victims of violence (in fiction, and of course, in reality). Indeed, in an essay for Aeon, Melanie McGrath writes about the female thrill-killer: “a female perpetrator who kills for pleasure rather than in revenge or self-defence”. McGrath referred to them as “a rare breed in crime fiction”, but this is how I would describe Ayoola. Yet, I also struggled with Ayoola, because at times she does use this fact that women are more often victims of violence than perpetrators as a way to explain her crimes. After all, she could say, “I was fearing for my life and defending myself”. That Ayoola actually used this as a defense, and also knew that it could be used if she ever got caught or found in a compromising position made her an even more terrifying character to me. Yet, we never know what Ayoola is thinking, nor do we know the true motives behind her actions; is it because of abuse, self-defence or simple pleasure? We only know after the fact, when Ayoola calls Korede. We never know, because we are never there as Korede is the narrator of this tale. Braithwaite doesn’t focus on the mind of a serial killer, but on that of a serial killer’s sister: her thoughts and struggles, as well as dealing with all the complicated emotions that must come with it. Korede may also have been somewhat obsessed with Ayoola. In fact, reading this novel made me think a lot about Killing Eve, a BBC America series starring Sandra Oh as Eve Polastri – an MI5 officer bored of her current role and fascinated with female killers. Eve eventually becomes obsessed with a female assassin, Villanelle (played by Jodie Comer), who she tracks across Europe. Korede may not have tracked Ayoola across West Africa (the book is set in Lagos), but I sensed some obsession. 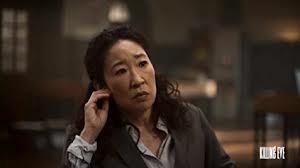 Then there’s Villanelle, who has been outsmarting MI5 simply because she is female – no way a woman can be so villainous and kill for pleasure, right? My Sister, the Serial Killer also explores some of the sisters’ childhood, which gives us an insight into some of the choices they make as adults. Yet, there are many questions left unanswered: why does Ayoola murder? Why does Korede continue to help clean up after her sister? Why can’t Korede confront Ayoola? Is Korede really that selfless? After all, unreliable narrators are a thing. Ultimately, this novel is about a relationship between two siblings with a dark past who need one another (even if it’s in an extremely destructive way). So if you’re looking for a twist from your usual serial killing novel, My Sister, the Serial Killer is an extremely refreshing read about a carefree serial killer narrated by her more serious older sister. It’s also a pretty quick read! I started by asking about naming (Black) African serial killers in fiction? I end by leaving a few more – Gregoire Nakobomayo (but he wasn’t very good at it), and his mentor – who was a far more accomplished serial killer, Angoualima (both in Alain Mabanckou’s African Psycho), as well as Napoleon Dingiswayo – the serial killer public relations consultant Lucy Khambule writes about in Angela Makholwa’s Red Ink. Thank me later, I guess! Zahrah Nesbitt-Ahmed is a Senior Technical Advisor on Women’s Rights. Zahrah is also the founder of the African literary blog, bookshy. She holds a BSc in Human and Physical Geography from University of Reading, an MSc in Urbanisation and Development and a PhD in Human Geography and Urban Studies, both from London School of Economics (LSE).